Chris Richards, the 18 year old now has a 4.5 year contract through June 30. 2023 with the German giant. From Alabama he was signed on loan from Dallas this past July, and had in excess of 1,700 minutes under his belt and over 20 games with them, featured in the clubs first team during the 2018 Audi Summer Tour. Bayern's Campus Manager, Jochen Sauer stated, "We are very happy that we have agreed Chris' transfer from FC Dallas. Richards added, "I've always dreamt of playing for a big European club, and now I'm at one of the world's top teams." This is a direct result of the Feb. '18 elite player development program between the two clubs, which we wrote of at the time. FC Bayern Munich Pres. of the Americas had this to say, "Just under a year ago we entered into a partnership with FC Dallas. To be able to announce the transfer of a player today is a landmark moment for all involved." Richards is the 2nd US player with Bayern, had been with the USMNT U-20's starting in both the semis & finals of the Concacaf championship which the US took in dominant fashion, with a key hand in the win with Mexico 2-0. See the Face Book of Soccer Long Island Magazine for more images and video. 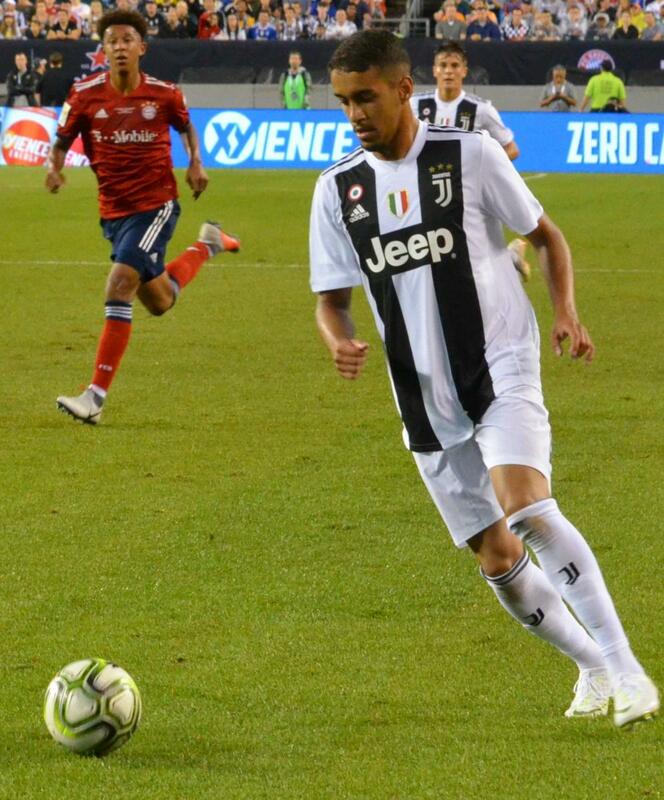 Richards facing Juventus in the 2018 Audi Cup.